In the world of competition, the ability to innovate new trends and technology has gradually increased that has helped the individual to achieve and sustain success of the business. One of the determinants of innovation includes technology. 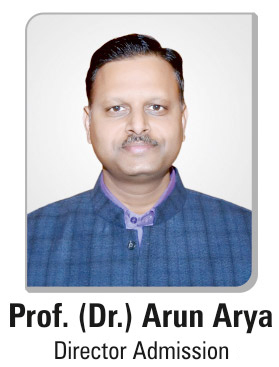 To promote and explore new trends, a 2nd International Conference has been organized by the Department of Electronics and Communication Engineering at Arya college of Engineering and IT from 25th November,2017 to 26th November,2017. The event was initiated with the inauguration that took place by our Chief Guest Shri O.P. Bansal, DGM BSNL.